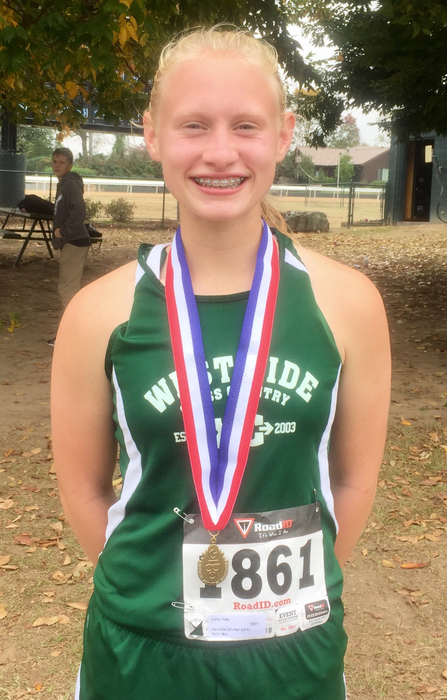 Haley Gentry, a 9th grader and winner of the Class 1A/2A Girls Cross Country Meet, will be running in tomorrow’s All Star Cross Country Meet between the best high school distance runners in Arkansas and Oklahoma. The Arkansas All Star girls and boys teams are comprised of the winners in Class 1A/2A, 3A, 4A, 5A, 6A, and 7A plus the next 16 fastest times. Three at-large runners, who may have suffered injury or sickness and didn’t perform well during the state championships, are also invited. The meet is held at Rogers High School. The girls championship begins at 11:30 a.m., the boys at noon.